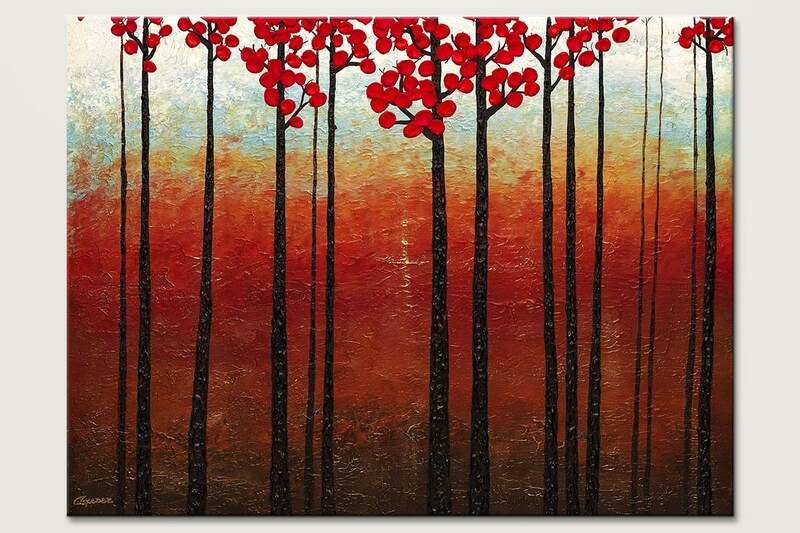 'Season of Hope' is a modern original abstract painting. 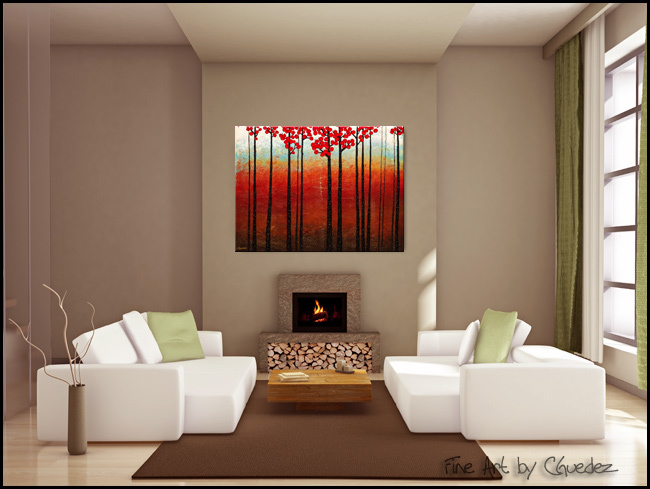 This wall art features a calming landscape with trees and fall-season red leaves. 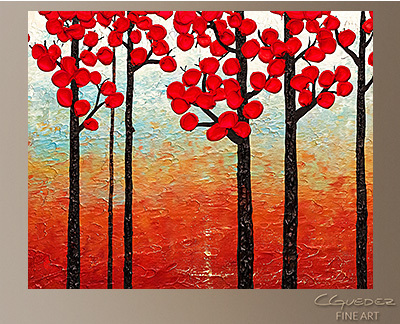 The color palette is compatible with most home decor style.